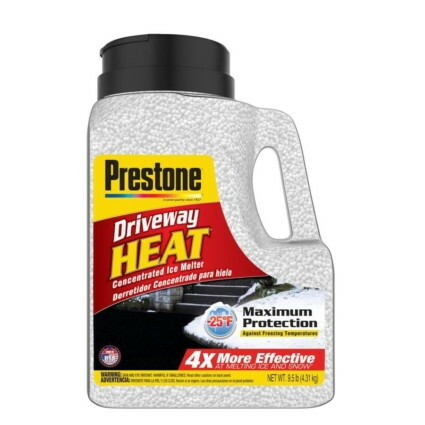 Free Prestone Driveway Heat Ice Melt at Lowe’s ($9.97 Value)! This awesome winter freebie is back! Join TopCashback and score a free 9.7-pound bag of Prestone Driveway Heat Ice Melt from Lowe’s, regularly $9.97. Just purchase a bag using your new TopCashback account, and receive $9.97 cash back. Click on the “Get Offer” button, and it’ll take you to Lowe’s. Add one “Prestone 9.5-Pound Fast Acting Calcium Chloride Ice Melt” priced at $9.97 to your cart, and shop as you would normally, then check out. If the price changes or anything happens to the stock, the deal is officially over. This is a “Free In Store Pick Up” offer. Once you check out, in about 14 days, $9.97 will post in your TopCashback account. Transactions must contain at least one Prestone 9.5-Pound Fast Acting Calcium Chloride Ice Melt from Lowe’s priced at $9.97 to ensure $9.97 cash back is credited to TopCashback accounts. If another item is purchased under $9.97 the cashback amount awarded will be $1.12 or less (depending on the item(s) purchased) instead of $9.97. The deal is open until 11:59 p.m. PST on Sunday, March 31 2019.
up next: Take an Extra 25% Off Sale Styles at Fossil + Free Shipping! The post Free Prestone Driveway Heat Ice Melt at Lowe’s ($9.97 Value)! appeared first on The Krazy Coupon Lady.